How Is Unstable Tachycardia Treated? Tachycardia (rapid heart rate) is one of the more complicated dysrhythmias to treat because it has so many presentations and so many causes. 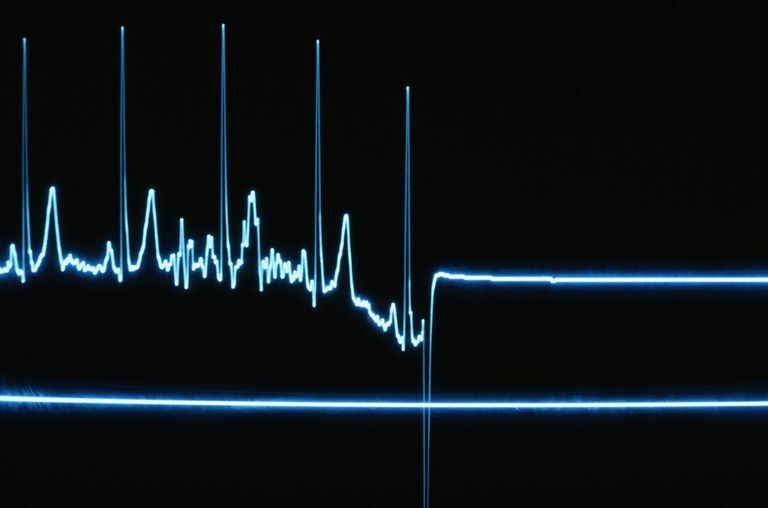 This article focuses on the treatment of cardiac-related unstable tachycardia in the emergency setting by prehospital professionals. Often, treatment options in the field are limited compared to the emergency department. With good assessment skills, however, most paramedics have everything they need to stabilize patients and get them to definitive treatment at a hospital. This article is specific to tachycardia in patients with a pulse. Patients without palpable pulses or without signs of circulation (breathing, purposeful movement) should be considered to be in cardiac arrest and treated, starting with CPR. Tachycardia is generally defined as anything faster than 100 beats per minute (bpm) when resting, but not all tachycardias are clinically significant. Without an ECG monitor, a good rule of thumb is to be concerned if the patient has a pulse rate greater than 140 bpm, or if a radial pulse is irregular, weak, or absent. There are lots of causes of rapid heart rate that aren't related to a malfunctioning heart. With heart rates between 100-140 bpm, chances are it's not cardiac-related. Faster than 140 bpm, it's important to consider cardiac causes as well as non-cardiac conditions. Unfortunately, this isn't a hard and fast rule, so don't ignore cardiac causes just because the heart rate is a little slow. Clinical significance of the heart rate changes depending on the type of tachycardia. The scope of this article is not able to cover ECG interpretation, but the caregiver's ability to interpret ECG strips is assumed. Below, we will discuss narrow-complex versus wide-complex tachycardia, but for now, just know that a wide-complex tachycardia gets worrisome once it's faster than 140 bpm. A narrow-complex tachycardia can be a little faster, but consider it concerning if it is over 160 bpm. Identifying clinical stability depends on the cause of the tachycardia. Some say that cardiac-related symptoms (chest pain, shortness of breath, etc.) are significant indicators of unstable tachycardia. That is more true in the hospital setting than in the field, due to the wider variety of treatment options. Outside of a hospital, focus on the ability of the heart to continue pumping blood with adequate pressure to get it to the brain. That is called hemodynamic stability. Hemodynamically unstable tachycardia doesn't give the chambers of the heart enough time to fill with blood between contractions. A patient with no obvious signs of hemodynamic instability (low blood pressure, thready or weak pulse, postural changes, etc.) can probably be safely transported to the hospital without attempting to treat the tachycardia. Plus, patients with no signs of hemodynamic instability can usually be treated safely for other cardiac-related symptoms. Hemodynamically unstable patients with tachycardia faster than 140-160 bpm could benefit from having the heart rate adjusted back to normal. Those are the patients on whom we are focusing for this article. Clinically significant tachycardia falls into two basic categories: narrow- or wide-complex. This refers to the QRS complex on the ECG tracing. When the QRS is narrower than 120 milliseconds (three little boxes on the ECG strip) it indicates that the heart's electrical impulse originated in the atria and traveled down through the atrioventricular (AV) node to the bundles of HIS and the Purkinje fibers, which are located in the ventricles. This is the normal conduction pathway, and the only way the QRS can be narrow is if the impulse travels through it properly. Because the impulse has to start above the ventricles in a narrow-complex tachycardia, it's also known as supraventricular tachycardia (SVT). A QRS complex wider than 120 miliseconds is usually associated with ventricular tachycardia (VT)—meaning the impulse originates in the ventricles, below the atrioventricular node. That's not always the case, however. If it's narrow, it has to be SVT. If it's wide, it could be VT or it could be that an impulse originating above the ventricles is not being conducted through the AV node. It's off the course and charting its own path, which makes it slower. This is often referred to as a heart block, an AV block, or a bundle branch block, depending on where the block occurs. To really dig in and identify a tachycardia requires a 12-lead diagnostic ECG. In some settings outside the hospital, a 12-lead ECG is not available. One reason not to treat tachycardia unless it's hemodynamically unstable is because of the possibility of treating a wide-complex tachycardia as ventricular tachycardia when it is not. Taking that chance when the patient is in significant danger of cardiac arrest is acceptable. Aggressively treating wide-complex tachycardia when the patient is hemodynamically stable is not worth the risk. The area of the heart where the impulse originates is known as the pacemaker because whatever area generates the impulse also sets the pace of the heartbeats. The sinus node is located in the left atrium. It is the normal pacemaker. The sinus node normally runs between 60-100 bpm. As we move lower on the heart, the inherent rates get slower. Impulses that originate in the AV node run about 40-60 bpm. In the ventricles, it's 20-40 bpm. That's why wide-complex tachycardia is clinically significant at a slightly slower rate. For the purposes of emergency treatment of a hemodynamically unstable patient in the field, consider all instances of wide-complex tachycardia as VT. If a patient shows signs of immediate danger (systolic blood pressure below 90 mm/Hg, loss of consciousness, confusion, or only able to find a carotid pulse), synchronized cardioversion is indicated. Recommended dosage is usually 50 Joules. If at any time the patient loses consciousness and stops breathing, or it is impossible to find a carotid pulse, defibrillation (non-synchronized shock) is indicated at 200 Joules to start. After one defibrillation (or if a defibrillator is not available) begin CPR, starting with chest compressions. Narrow-complex tachycardias are more complicated than wide-complex arrhythmias. In this case, the regularity of the arrhythmia becomes important. For narrow-complex arrhythmias that are hemodynamically unstable (systolic blood pressure below 90 mm/Hg, loss of consciousness, confusion, or only able to find a carotid pulse), synchronized cardioversion is indicated at 100 Joules. Patients that do not have low blood pressure—but have other symptoms (dizziness, heart palpitations)—can be treated with fluid or drugs, primarily adenosine. Fluid is a great first step for tachycardia in case dehydration is the cause. Adenosine must be given via rapid IV push. Initial dose is 6 mg, but if that doesn't work, a follow-up dose of 12 mg can be tried. Adenosine works very similarly to electrical cardioversion, leading to depolarization of the heart muscle and allowing the sinus node to reset. If adenosine doesn't work, which is very likely if the tachycardia is irregular, two other classes of medication can be tried. Calcium channel blockers slow down the movement of calcium across the heart muscle cell membranes. It causes the entire cycle to slow. Beta blockers affect the way epinephrine works on heart muscle. Treating stable narrow-complex tachycardia in the field should not be done without either standing orders or expert consultation through online medical control with an appropriate medical director.